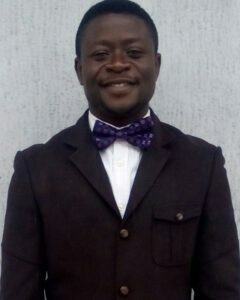 Saheed Adekunle Raji is a lecturer at the Department of Environmental Management and Toxicology, Federal University of Petroleum Resources, where he teaches and researches on Remote Sensing, GIS, Geomorphology and Environmental Management. He holds a BSc (hons) degree (First Class) in Geography from University of Lagos and an MSc degree (Distinction) Remote Sensing from the same university. During his undergraduate programme, he was a university scholar for three years 2005–2007. He was also a Graduate Fellow of the Department of Geography, University of Lagos from 2010 to 2013. Currently, he is at advanced stage of the PhD programme and his research is primed on developing ecosystem restoration mechanism for the sudan-sahel savanna of northern Nigeria using Remote Sensing, GIS, Climate Change and Natural Resource Management techniques. Prior to joining the academia at Federal University of Petroleum Resources, Adekunle Raji was a Research Assistant of the Joint Ecosystem–Climate Study Group at the University of Lagos between 2010 and 2013. During this period, he was engaged as a Manager and Administrator for the Laboratory for Remote Sensing and GIS where he teaches and demonstrates the functionality of GIS and Remote Sensing particularly attribute development and database management, GPS, vectorization and rasterisation, image georeferencing, image classification, map designs, scripting using python, etc. He is currently a member of the Environmental Modelling Research Group of Federal University of Petroleum Resources and engages in Spatial Dynamics and Geospatial Methods of Phytoremediation at a selected site in Emede, Delta State Nigeria. He has been awarded at sundry times in his fledgling academic career. He was the 2014 Best Researcher in Social Sciences in the University of Lagos and a one-time recipient of the Michael Abegunde’s Prize in Geography. He was also a recipient of the OFID/IAEE Fund for Scholars to attend the 2017 IAEE international conference in Singapore. He is a member of several local and international societies and associations including the International Society for Development and Sustainability (ISDS), African Association of Remote Sensing of the Environment (AARSE), Geoscience and Remote Sensing Society (GRSS) of the IEEE, Nigeria Environment Society (NES), Nigerian Cartographic Association (NCA), and Association of Nigerian Geographers.